One of North Jersey’s premier 55+ communities, Four Seasons offers the perfect mix of leisure, livability and beautiful scenery. Situated amidst the picturesque countryside and idyllic rolling hills of Chester, this community offers superb amenities, a friendly atmosphere and affordable real estate options. For those looking to live or retire in a community that’s convenient, affordable and filled with historic charm and natural beauty, Four Seasons is the only place to go. Four Seasons at Chester, NJ boasts affordable prices, a convenient location in the heart of North Jersey and bucolic scenery all around. Four Seasons homes include four model homes with exceptional amenities and convenient interior designs. The four models are named after fine wines, and just as a fine wine enhances your perfect meal, these homes enhance fine living. Three bedroom models include the Bordeaux which is nearly 3000 square feet and the Cabernet which is 2600 square feet. Two bedroom models include the Merlot at 2300 square feet and the Sauvignon at 2200 square feet. Most of the models include first floor master suites and walk-out basements. The community has picturesque landscaping and quiet streets, adding to the community’s idyllic atmosphere and natural beauty. Four Seasons at Chester and other Four Seasons at Chester properties offer a distinct mix of affordable prices, upscale flair and convenient location that can’t truly be found anywhere else in the area. Click here to see Four Seasons model floor plans. Although the town of Chester has been settled since the colonial days, the Four Seasons community was established relatively recently. 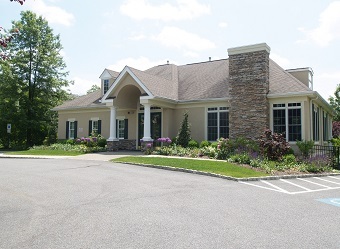 Today it is known as one of North Jersey’s most acclaimed 55+ communities, boasting excellent amenities, a quiet atmosphere and easy access to many of North Jersey’s finest parks, museums, theaters and other attractions. 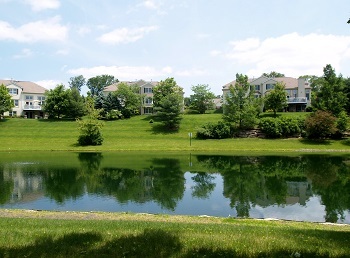 The community is known for accommodating active adults and offers abundant parkland, numerous walking and nature trails and picturesque landscaping. Four Seasons also features a golf putting green, fitness center and cutting-edge clubhouse with many activities and recreational options to enjoy. Four Seasons offers a number of local attractions such as a clubhouse, fitness center, putting green and many picturesque walkways and nature trails. In addition, it offers easy access to Chester’s bevy of historic sites, shops, restaurants, galleries, parks and the verdant Willowwood Arboretum. Some activities and events to enjoy include golf, activities at the Four Seasons clubhouse, special events at the Willowwood Arboretum, concerts, the Strawberry Harvest Festival Days, the annual Fireman’s Carnival and Fireworks and much more to see and do around historic Chester. With its picturesque setting, excellent amenities and attractive real estate choices, Four Seasons is one of North Jersey’s finest 55+ communities. Those interested in becoming a Four Seasons at Chester home buyer should call Maryann Johnston at 201-964-6451 today for the best deals available.